Upon specification of your search criteria (pick-up/return location, date and time) in the above form, you will be provided with all our relevant and actual vehicle offers. If you wish to return a car in a different location than Monza, please tick the 'Different Drop Off Location' check box. The most recent car booking in Monza has been made on our website 4467 minutes ago. In Monza, we offer for rental 5+ car categories from 5+ rental suppliers. Best offers. We collect the most interesting rental offers from all suppliers operating in Italy. Use the search form above to examine specific cars available for your travel period. An early reservation allows you to obtain the cheapest offers in Monza. Car selection. On the search results page, you can sort the cars available in Monza by their rental price and rating. You can also filter the search results, specifying desired car type, transmission type and fuel type. Car choice. In Monza, the diversity of car types and price tags increases, if you specify that you will pick-up and drop-off your car in a daytime. Please note, that vehicles with an automatic transmission are quite rare in Italy, therefore, their confirmation may take from one day to one week. Rental terms. Each vehicle presented in the search results for Monza has its own individual rental terms. These terms are available via the link 'Important Information' located below the price indication. Rental documents. Before traveling to Monza, print the confirmation voucher. Rental desks in Italy are not accepting electronic vouchers. Also, do not forget to bring your ID and a valid credit card. OrangeSmile.com wishes you a fantastic time and safe driving experience around Monza! Later the town became the residence of the king and his family, who were defeated by the great nature of this region. In the 6 - 7 centuries the town experienced a rapid growth, which was especially vivid during the Teodolinda queendom. By her order a beautiful cathedral was built in Monza. The cathedral became the repository of priceless treasures, the most famous and valuable item of which was Corona Ferrea. This was the crown which was traditionally used in the coronation ceremony of Italian emperors and kings, so the town, in which the crown was stored, was widely respected and considered a privileged one. However, up to 951 Monza was listed only as a castle in documents, and this place got the status of the town only during the reign of Otto III. Later the town repeatedly changed its status: it was in possession of the Belgian feudal lords, in the middle of the 16th century Monza was conquered by the Spaniards, and then the town was officially added to the territory of Italy. Nowadays you can get acquainted with the history of Monza by visiting its numerous museums. You can take a tour to the cathedral mentioned above. 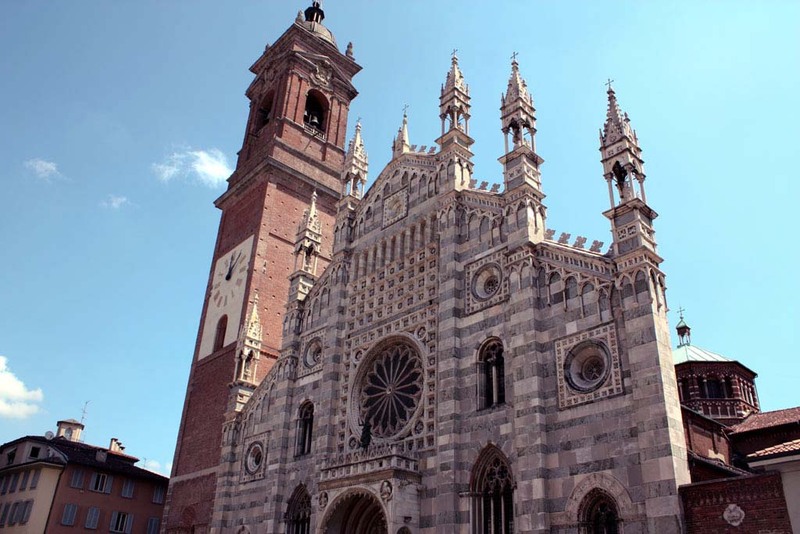 Today it is called Duomo di Monza, and now the museum of treasures is opened in its walls. Another important architectural structure is the Royal Villa, which is located near the old chapel. Among the cultural institutions of Monza we should mention IL Teatro Theater and a unique library for blind people, which is famous for a large collection of books. You can also walk through the royal gardens and see beautiful old churches.